Osier lunch stop: at left is the train from Chama; train on right (ahead of the fire patrol speeder) is from Antonito. 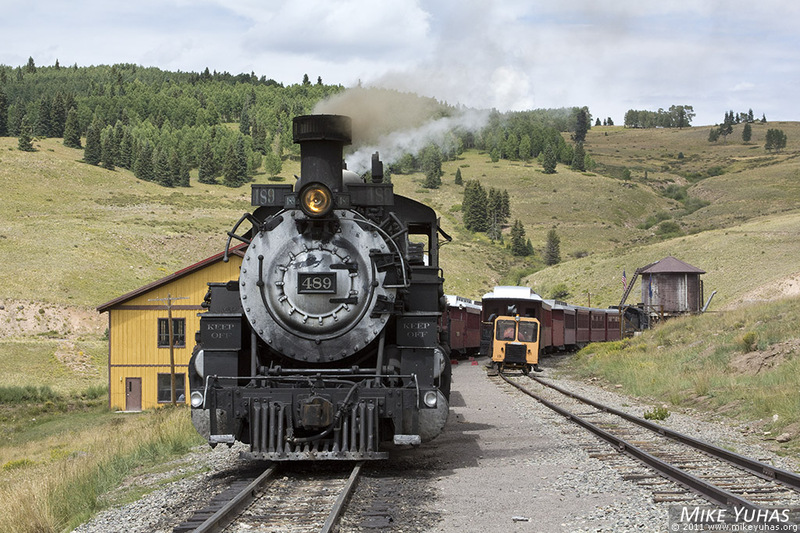 Cumbres & Toltec Scenic Railroad trains pause here so their passengers may engorge themselves. Lunch is included in fare.